Read here about Aniela, an American in Cape Town. In our expat interview the self-employed attorney will share her experiences of living in South Africa. Profession/Background: I have a Masters in political science from UCT and was quite interested in development and democracy, so I have a background in research. Now I am an attorney specializing in financed transactions and asset-based lending. I came back to South Africa last year. This time, I went to Johannesburg first and now I am here in Cape Town. 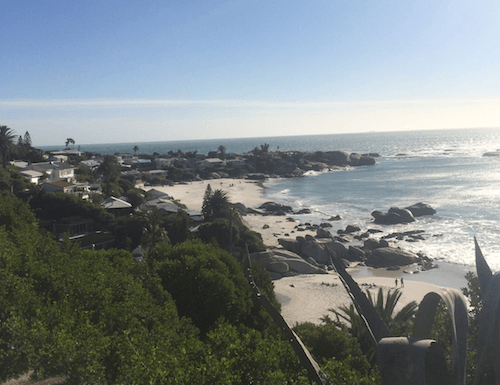 Why did you choose to move to Cape Town? Initially it was to study because South Africa had a new constitution so it was a perfect time and place for my research interests. This time around, it is because my dear friend is writing a book on soccer, I had recently decided to take a work sabbatical, and he asked me to come for a couple of months to edit the book. One year and one critical skills visa later I am here to stay! Where do you live in Cape Town? I live in Seapoint and I love it. The mainroad is full of shops and just a few blocks away you can run on the promenade by the ocean. It is central to everything. Seapoint used to be much more dangerous but now it is a fantastic place to live. Sometimes I get a bit edgy driving on the mainroad, but other than that it is a dream. What were your first impressions of South Africa? Any culture shock experiences? It was so long ago, I honestly don’t remember! I think my first impressions were generally more based on how well the country was doing after apartheid ended. I was here in 1999, so things were still new and it was very exciting politically. What did you struggle with most when moving to Cape Town? The speed … I am used to a very fast paced environment, which is not necessarily a good thing. But, when the internet is slow, the service is slow, or things just aren’t moving quickly I have to take deep breaths. And for some reason car guards really annoy me and I am trying to get over that. Any tips to share regarding living in the city and what to be aware of? Everywhere in the world has dangerous spots … so it is good to know your surroundings. Be very prepared to find yourself in a different type of city when tourists begin to flood in. It is not easy to book tables, drive to Camp’s Bay, or walk in the Waterfront, so take the extra time to realize the city booms with people. How could I forget, invest in some candles. You cannot do anything about load-shedding (scheduled power outages) so just go with it and enjoy some candle light! What were your best experiences in Cape Town? I very much enjoy spending time socially with my friends and being outdoors. This entire city is full of beauty, no matter where u look. And I feel so lucky that I live around such beauty. Long outdoor lunches are a must!! Anything that is not so great when living here? Car guards. Ok, only partially kidding. I think once in a while I meet someone who is not open and still voices some very old school opinions towards diversity. That is completely unacceptable to me. I also very much dislike the response 'You don’t understand...' because it is true, I don’t, not because I am not from here, but because it is inexcusable. What about Cape Town living expenses, compared to your home country? Well, dollars are doing well right now, but in general for a single female it is a bit less here than in Denver, so I have more options when it comes to my financial choices day to day. Which expat services, restaurants etc. would you recommend to other expats? I haven’t used any expat services although I probably should! La Mouette is a gem, Paranga in Camp’s Bay has a great atmosphere, Seelan’s at the Waterfront is great, Beluga, oh... there are so many! Trip Adviser is actually a great way to find a place to eat or go. I would also suggest having regular mini vacations in our city. Meaning, if you have a night to get away, go stay somewhere such as South Beach in Camp’s Bay and feel Cape Town as a visitor. What should expats definitely know or bring when coming here? It is not ...dangerous/backward/insert stereotypes of African cities here. You will probably find everything you are used to here and more. Everything is available, so you don’t need to worry about finding anything you may be used to having. Also, I would recommend for those who are opposite side drivers to spend a few weeks here NOT driving to get acclimated because it requires a brain switch and you should not be behind the wheel at first! Anything you miss when you go back ‘home’? Everything! The people, the food, the environment. I miss my family dearly, but I have Whatsapp and we are constantly chatting so I feel very connected. Many thanks to you, Aniela, for sharing your insights and favourite places in this expat interview! Wishing you all the best and enjoy your time exploring Cape Town and South Africa! Read more expat interviews here. 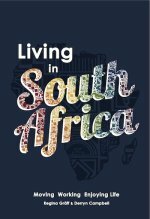 Our expat guide book on 'Living in South Africa: Moving - Working - Enjoying Life' will bring you insights into a wide range of topics such as Customs and Cultures, Schooling and Housing, Working and Immigration, Shopping and so much more. Published only in 2014 it will provide you with all the newest facts, statistics and helpful resources for settling more easily in South Africa. Order your copy of our Living in South Africa guidebook directly from us. Get more information on how and where to buy the book.